In 2016, more than 100 people were prosecuted for poaching related offences in Cameroon. The tusks were stocked in a metallic seal and concealed in the back booth of a car. 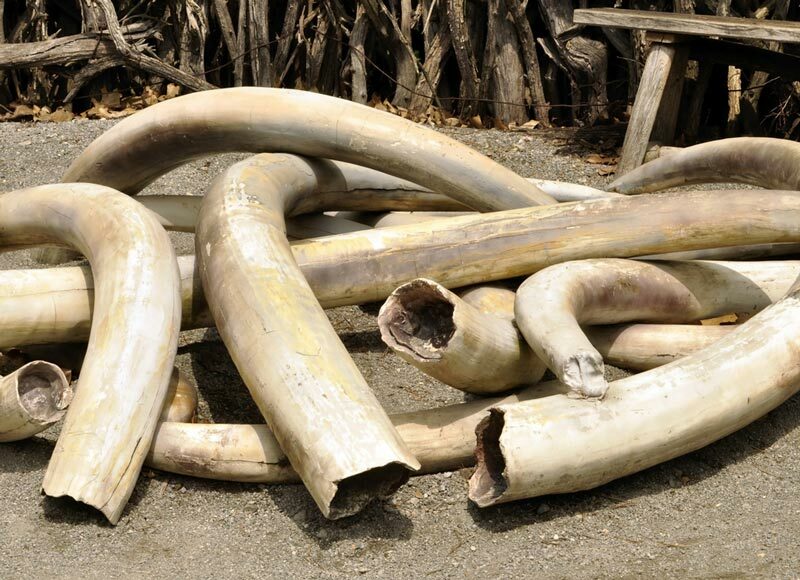 Said to have been transited from the town of Djoum in the South Region of Cameroon, the suspects disclosed they were taking the tusks to the north of the country. The tusks could have been probably smuggled out of the country into neighboring Nigeria. They have been kept under seal in the regional service of Cameroon’s Ministry of Forestry and Wildlife until judicial procedures are completed. This seizure comes at a time Cameroon and other countries in the Congo Basin are struggling to save the elephants whose numbers have fallen by 62 per cent between 2002 and 2011. Meanwhile, Wildlife inventories conducted in 2015 showed a decline of up to 75 percent of elephant population in Boumba-Bek and Nki national parks in Cameroon, while Minkebe National Park in neighboring Gabon lost 80 per cent of its elephant between 2002 and 2014. “This latest seizure is testimony of the existential threats elephants are facing today,” says Lamine Sebogo, WWF head of African Elephant Program. “At least 80 elephants have been killed. This is a big loss for biodiversity, the national economy, the communities and the entire humanity. It is time to take measures to upscale funding to save the few remaining forest elephants of the Congo Basin,” Lamine says. WWF commends the government of Cameroon for this effort and looks forward to seeing effective prosecution and appropriate sanctions meted out on the traffickers. According to Cameroon wildlife law, any person found, at any time or any place, in possession of part of a protected animal, including elephant tusks, shall be considered to have killed the animal. The maximum penalties for the killing of a protected animal like an elephant are three years’ imprisonment and/or ten million francs CFA. Last year more than 100 people were prosecuted for poaching related offences. In spite of this effort, ivory trafficking remains alarmingly high in the Congo Basin with Cameroon being used as the main transit route for smuggling of tusks out of the region.